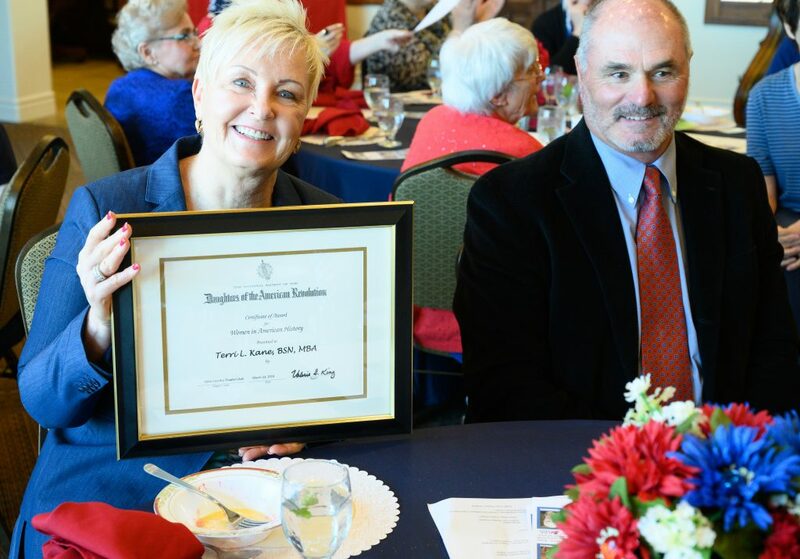 SOUTHERN UTAH — The Color Country Chapter of the Daughters of the American Revolution has selected Intermountain Healthcare executive Terri L. Kane for its 2019 DAR “Women in American History” award. Of the six women who have been recognized by the chapter, Kane is the first medical professional to be chosen. Kane joins past honorees Patricia Shoemaker-Glessner for advancing women in the television broadcasting industry; Marian Meyers for her educational contributions to the Native American community and service on the Bureau of Indian Affairs Council; Audrey Wells for her WWII military service and first female commander of American Legion Post 90; Hortense McQuarrie Odlum for her part in preserving local history through a building now known as Daughters of the Utah Pioneers Museum; and Dixie Bell Miller, a Hall of Fame title holder with the Single Action Shooting Society for her superior marksmanship skills that has earned her many championship titles. The National Society Daughters of the American Revolution greatly encourages its local chapters to acknowledge the outstanding contributions of women in American history by selecting a notable woman or women from their respective communities to honor. One of the largest women’s organizations in the world, the DAR has more than 185,000 members in approximately 3,000 chapters across the country and even in numerous foreign countries. DAR strives to promote historic preservation, education and patriotism via commemorative events, scholarships and education initiatives, citizenship programs, service to veterans, meaningful community service and more. For information on Utah State DAR chapters, click here.